Miami, FL – April 18, 2017 – The Global Wellness Summit (GWS) today announced that an all-star lineup of integrative medicine leaders will present at the 2017 conference: Dr. Richard Carmona (former U.S. Surgeon General), Elissa Epel, PhD (telomeres research pioneer, UCSF), Dr. Paul Limburg (Professor of Medicine, Mayo Clinic), Dr. Mehmet Oz (Professor of Surgery, Columbia University and host, “The Dr. Oz Show”), Dr. Kenneth Pelletier (Professor of Medicine, University of Arizona and UCSF), Dr. Michael Roizen (Chief Wellness Officer, The Cleveland Clinic) and Dr. Andrew Weil (founder, University of Arizona Center for Integrative Medicine and renowned alternative medicine expert). Together, this heavy-hitter roster of experts has transformed the way the world thinks about both wellness and medicine, leading the charge for more holistic, preventive approaches that – as chronic disease and healthcare costs soar – represent one of the most critical trends in the world today. 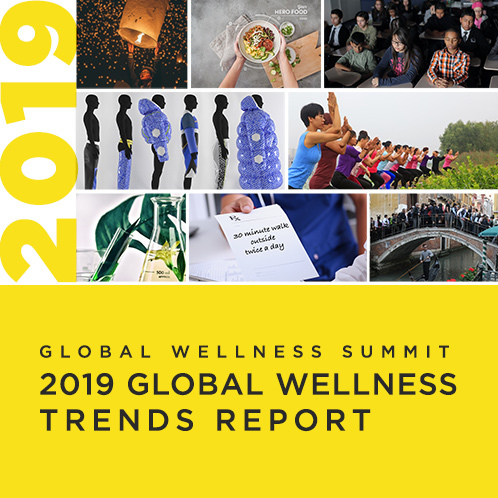 They span celebrity doctors who have brought the “wellness message” to hundreds of millions of people worldwide to doctors who are spearheading a new focus on wellness and prevention at revered medical institutions like the Mayo and Cleveland Clinics. The 2017 Summit theme is “Living a Well Life”, focusing on how new wellness concepts will impact every aspect of an individual’s life. And these leaders, who impact countless individuals’ lives, will keynote on everything from the latest in mind-body medicine and sleep science to the coming wave of personal biomarker and DNA testing. The 11th-annual conference is being held at The Breakers, Palm Beach, Florida from October 9-11, 2017. Richard H. Carmona, MD, M.P.H., FACS, was the 17th Surgeon General of the United States. He is also a combat decorated U.S. Army Special Forces Veteran and a Distinguished Professor at the University of Arizona, with a wide range of training and experience in healthcare management, clinical care and research. He’s currently the Vice Chairman of Canyon Ranch, President of the Canyon Ranch Institute, and serves as Director on several large, publicly traded corporate boards and several private companies. Elissa Epel, PhD, is Professor at the University of California, San Francisco (UCSF), with a research focus on how chronic psychological stress accelerates biological aging; the interconnections between emotions, eating, metabolism and weight; and the effects of mindfulness. A member of the National Academy of Medicine, she has won many awards for her research. Epel co-wrote (with Nobel Laureate, Elizabeth Blackburn) “The Telomere Effect: The New Science of Living Younger Longer”, a 2017 New York Times bestseller. Paul Limburg, MD, M.P.H., is Professor of Medicine, Mayo Clinic College of Medicine and consultant in the division of gastroenterology and hepatology. He also holds a joint appointment in the division of preventive, occupational and aerospace medicine and serves as medical director for several business units at Mayo Clinic responsible for defining or delivering health and wellbeing expertise within and beyond the organization. Mehmet Oz, MD, is Professor of Surgery at Columbia University and has won seven Daytime Emmy® Awards for “The Dr. Oz Show”. He directs the Complementary Medicine Program at New York Presbyterian Hospital; participates in 50 heart surgeries a year; has authored over 400 publications, including seven New York Times’ bestsellers; has received numerous patents; and hosts the internationally syndicated “Daily Dose” in 134 radio markets and a newspaper column in 175 global markets. He has received numerous global accolades, from being named one of TIME magazine’s “100 Most Influential People” to a Global Leader of Tomorrow by the World Economic Forum. Kenneth R. Pelletier, PhD, MD, is Clinical Professor of Medicine at the University of Arizona and the University of California, San Francisco. At UCSF, he is Director of the Corporate Health Improvement Program (CHIP), a collaborative research program between CHIP and 15 of the Fortune 500. He is Chairman of the American Health Association; medical and business consultant to high-profile organizations like the U.S. Department of Health and Human Services and the World Health Organization; and has published over 300 professional articles on behavioral and integrative medicine, disease management, worksite interventions, and epigenetics. The author of 13 books, his next, “Change Your Genes, Change Your Life”, will be published this year. Michael Roizen, MD: Since 2008, Dr. Roizen has served as Chief Wellness Officer at Cleveland Clinic, the first such position at a major U.S. healthcare institution. He’s also Chairman of the Wellness Institute at Cleveland Clinic; has published 175+ peer-reviewed scientific papers, 100 textbook chapters, and four medical books; received 13 U.S. (and many foreign) patents; and hosted six PBS specials. His “RealAge” and “YOU” series of books have sold millions of copies, have been translated into 44 languages, and resulted in four #1 New York Times’ bestsellers (more than any other physician). Andrew Weil, MD, is Founder and Director of (and Clinical Professor of Medicine at) the University of Arizona Center for Integrative Medicine, the leading global effort to develop a comprehensive curriculum in integrative medicine. He is editorial director of the popular website, Dr. Weil.com; has appeared in numerous PBS programs; and is founder of the Weil Foundation, Healthy Lifestyle Brands, and True Food Kitchen restaurants. An internationally recognized expert on medicinal plants, alternative medicine, and medical education reform, he’s authored many scientific articles and 15 popular books – and Oxford University Press is currently producing the Weil Integrative Medicine Library, a series for clinicians in various medical specialties.